That's right, folks, the Cookie Brigade is back for PAX South 2016! If you were looking for information regarding becoming a part of the Cookie Brigade for PAX South 2016 or you're just curious about what we're all about then you're in the right place. We're gearing up for PAX South 2016 and looking forward to trying to smash our inaugural year's amazing achievement of $10,000! If you're not already registered on the Cookie Brigade website please do so ASAP! 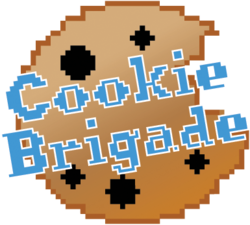 The Cookie Brigade is a ragtag group of Penny Arcade Forumers who have assembled since PAX 2007 to provide our fellow gamers with delicious baked goods! Cookies are baked by forumers, brought and shipped from afar by forumers, and distributed by forumers! The Cookie Brigade does not sell cookies. We give cookies away for free. Starting in 2007, the Cookie Brigade began a mission to give these cookies in exchange for donations to Child's Play, the charity started by Mike and Jerry that provides entertainment to kids in children's hospitals. Since starting on this mission, the Cookie Brigade has raised over $225,000 mostly by the handing out of cookies and the reception of donations from the incredible, amazing, and generous PAX community! In 2014 alone we raised over $68,000 for Child's Play! Woooooot! Thank you everyone for your generous donations, you have helped an awesome cause!  And during or pre-pax, feel free to light up the Cookie Signal! An important note: due to certain external pressures on the Brigade we have to keep some of our more sensitive planning operations private. If you sign up on the Cookie Brigade website you will have access to our public forums but will need to submit and application to through the site to become a brigadier. Thank you for your understanding! And on that note, if anyone in the San Antonio area wants to meet up to bake some cookies the week of/week before PAX South, let me know -- I have a pretty good set up at my house and would not be opposed to hosting a baking party for any locals who are interested! http://cookiebrigade.org is blocked on my work firewall ): but, can me and my wife bake a bunch of cookies and give them to you guys? I don't think we'd be able to give them away at PAX, but I'd be more than happy helping out with production. can me and my wife bake a bunch of cookies and give them to you guys? I don't think we'd be able to give them away at PAX, but I'd be more than happy helping out with production. Absolutely! That's what our bakers do. We take the cookies our bakers make (that would be you guys) and our coordinators organize them so our distributors can pass them out. If someone wants and is able to both bake and distribute for PAX, that's great, but if not, then doing one or the other is greatly appreciated. We are always in need of cookies -- we run out at every event, so even a dozen cookies that someone can provide helps us out a lot. Are you able to access the site from another computer? We will have more info up there about where to drop the cookies off, etc. once we get closer to the convention. Sure! I'll check out the site when I get home and I'm sure we can make a few dozen cookies to help out! Hmm, we were having problems with people getting verification emails a couple weeks ago as well, but thought we had the problem sorted out. What was the email/username you used? (feel free to PM me if you don't want to post them publicly.) I can let our webmaster know so we can look into it. Cant wait to donate and enjoy the cookies! This is my first Pax and I'm really excited to participate in Cookie Brigade! I don't know if you could have used more cookies last year but maybe Tiff's Treats would be interested in donating cookies for a good cause? All signed up and excited to do this! As a parent of a child who is regularly in the hospital and recipient of programs like child's play, you people are AWSOME!!! You cannot imagine what it is like to have to hold a child through test after test, but the light on her face when she gets something to make her feel better really makes the world to her in those hard times. You people are AMAZING!